Brian Law has joined the chorus of tributes to Gary Speed and revealed how their happy days together in Wales' age-group teams led to a surprise mid-1990s Molineux reunion. The two were team-mates in the international under-17, under-18, under-21 and B sides, one hailing from the north of the country and one from the south. Geoff Palmer has put his retirement on hold by going back into full-time employment. The long-serving former full-back thought his working days were over when he hung up his uniform last year following almost a quarter of a century in the police. Bobby Mason, who we at Wolves Heroes have visited twice at his home near Burton-on-Trent, has become the subject of a fascinating article much further afield. 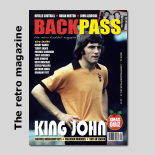 The publishers of an Essex-based magazine contacted us following a Google search and requested permission to reproduce a recent photo we had taken of the former Molineux inside-forward. Not every meeting and phone call we have actually makes it into print on this website. Some conversations and get-togethers are for other reasons. As a way of summing up this 'any other business,' we present part three of this new feature. Twenty five years to the week since joining forces on their memorable Molineux journey, Steve Bull and Graham Turner have been back in each other's company. Come Sunday, it is exactly a quarter of a century since the two were brought together by an outlay that would eventually rise to £64,000. Almost 30 years ago, the Express & Star carried a series of articles by John Richards under the heading 'A Postcard From Madeira'. Now we have email to help us. The former Wolves striker and managing director has just returned from a nostalgic return visit to the island on which he played Portuguese League football for Maritimo for two seasons. Here's his account of the trip. Wolverhampton Wanderers are well known for having had a Major as a manager and for later fielding a defensive strong-man, Bill Shorthouse, who was wounded in the D-day landings. Sadly, the club also had their share of fatalaties in the 20th century's two biggest wars, with the names of two of them providing an ironic latter-day twist. The history books show that John Richards and Don Goodman were well over a decade apart as spearheads of Wolves' attack. 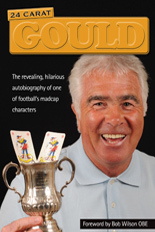 What Molineux-based literature will not demonstrate so readily, though, is that they were club colleagues in the 1990s after Richards had graduated to Sir Jack Hayward's board.